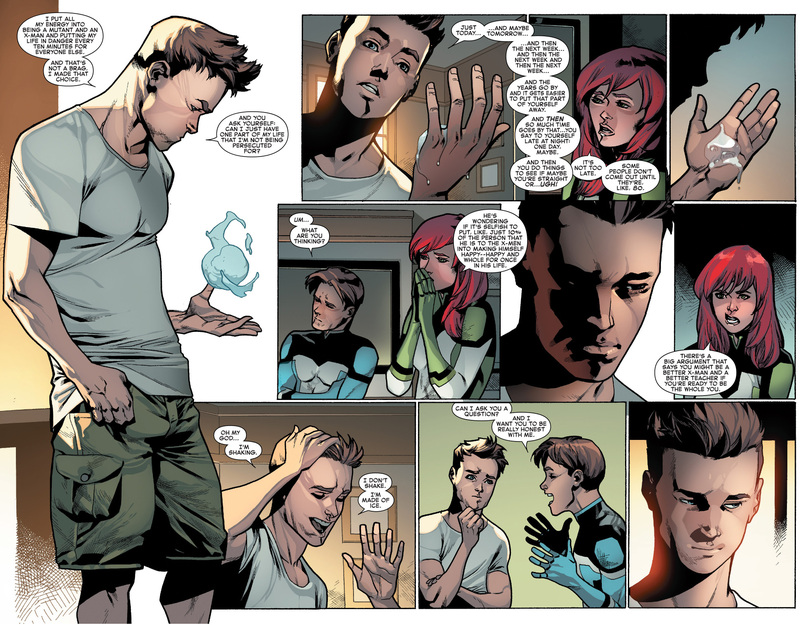 It all started when the Original 5 Jean Grey, part of the original 5 X-men from the past that Beast brought into the present time, reads O5 Iceman’s mind and reveals to him that he’s gay. 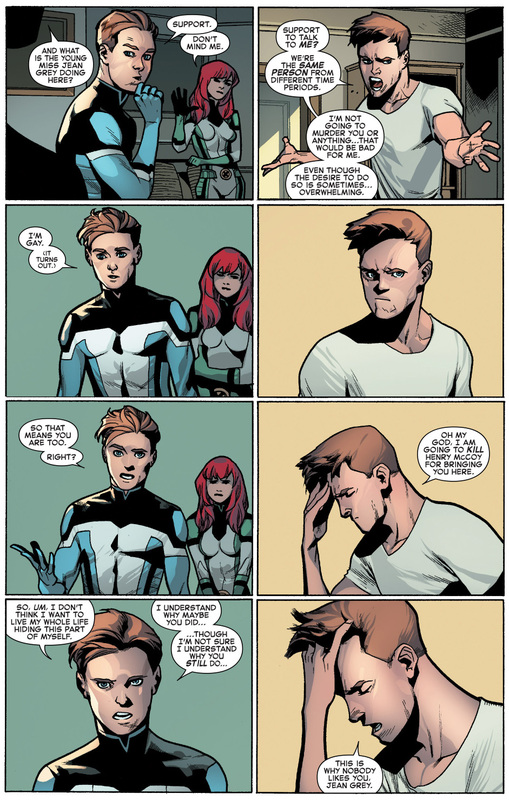 Here O5 Iceman tries to have the talk with his present self. 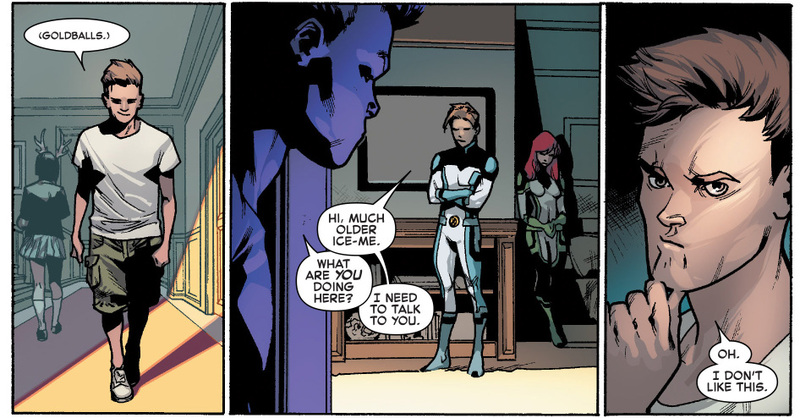 What I don’t like about this is, Iceman’s been around 30 plus years at least, and has been surrounded by tons of psychic, but it took a time-displaced Jean Grey to discover he’s gay. 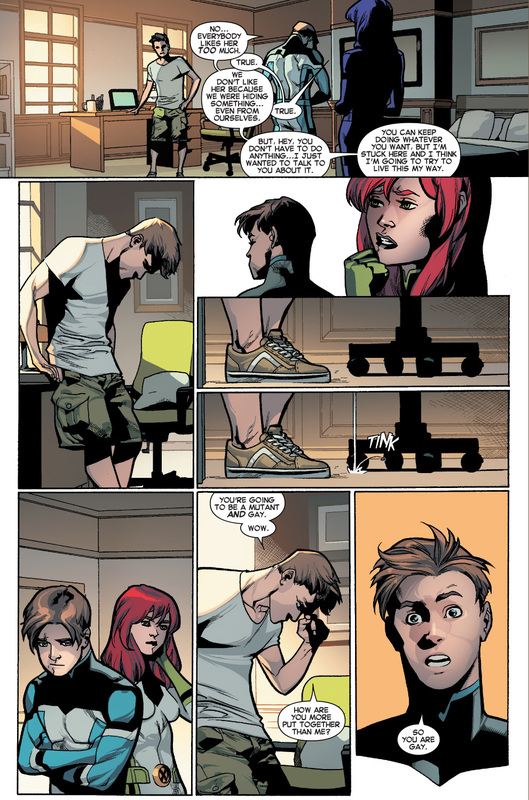 It doesn’t make any sense and feels like it’s being shoehorned in.